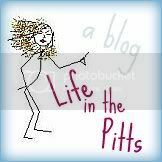 Life in the Pitts: Nap schedule changes need to be submitted 12 hours in advance. Nap schedule changes need to be submitted 12 hours in advance. I ran away to the post office today. After a few hours of not-napping in her crib, Syndil was just too much for me to handle. I was trying to figure out what to do. Leave her in there for 2 more hours? Give in, and deal with a super cranky toddler for the rest of the day? Run away? I took her with me, mostly because I was craving those amazing harmonies she produces while screaming along to the radio. A tired toddler's scream is just so soothing in an enclosed space. And tonight, when Kurt gets home? I am going to smile, hand him his daughter, and hit the road. I'm not sure where I'll go, but I will go alone. And I will probably spend money. And pee without her sitting on my lap in the stall. Anybody else need a break?